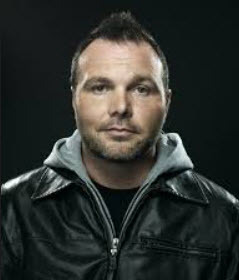 In August 2014 the leaders of Acts 29 Church Planting Network separated themselves from the ministry of Pastor Mark Driscoll because of his ungodly conduct. The Board of Acts 29 Church Planting network posted this message. The question that arises is why it took the board of Acts 29 so long to separate from Driscoll, for they are the church leaders who have worked closely with Driscoll for many years, and undoubtedly know all about his ministry. Indeed, for years they have been content to be associated with Driscoll’s international reputation and church planting philosophy to build the ministry of Acts 29. 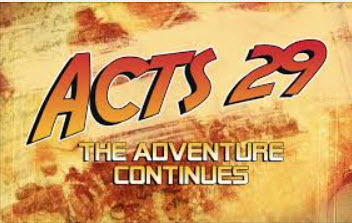 Even today, Acts 29 website has reference to 30 articles about Driscoll’s influence and ministry. Only when Mark Driscoll’s shameful conduct became public knowledge did the leaders of Acts 29 take action to separate themselves from the opprobrium that now surrounds his disgraced ministry. Their motivation, it seems, is to protect their own ministry from the tarnished Driscoll brand. And so we must ask the obvious question, why did they not act sooner? For years they have known about Driscoll’s outrageous behaviour, yet they chose not only to support him but also to profit from his massive public image. For years they were content to condone his false teaching, to promote his outrageous books, to attend his conferences, to support his Resurgence, and to propagate his philosophy of church planting through the Acts 29 Network. 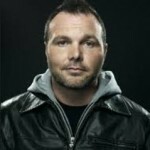 Mark Driscoll: Is he qualified to lead? The silence of Acts 29 leaders stand condemned by the witness of Cathy Mickels, who in January 2009, wrote a memo to the leaders of The Gospel Coalition, expressing her deep concern over the ministry of Pastor Mark Driscoll, which she described as characterized by ‘the trivialization of Scripture, crudeness, foolish talk and vulgarity’. All the evidence presented in Mickels’ memo, dated January 2009, has been in the public arena for years, yet the church leaders associated with the Acts 29 enterprise were more than happy to work alongside Mark Driscoll and his trivialization of Scripture, crudeness, foolish talk and vulgarity, to further the Network. And now in August 2014, they have expelled Driscoll from membership of Acts 29 because they are concerned that their association with him discredits the Network, not because they believe there is anything wrong with Driscoll’s disgraceful use of Scripture and false teaching. It is difficult to avoid the conclusion that they are jumping off the sinking Driscoll ship in the hope of saving their own ministries.